Corruption in the state of Chhattisgarh is at an all-time high. The state government is implementing new schemes to get the attention and confidence of common people in this region. There are schemes for people of all sections of the society. After the distribution of free smartphones, state authority has announced that it will soon implement Free Tiffin Scheme for poor workers. If you desire to attain more details about this newly launched scheme, then go through this write-up. 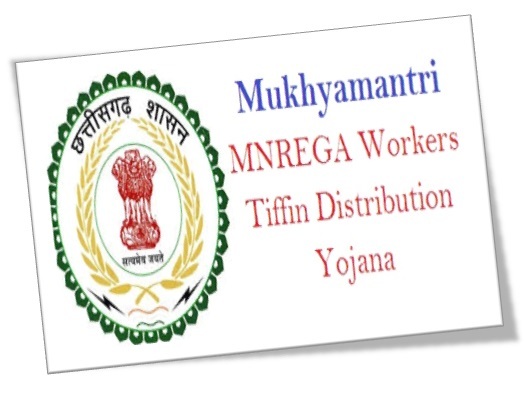 Free Tiffin for MGNRE workers – The state will offer free tiffin to all those workers who are employed under MGNRE or Mahatma Gandhi National Rural Employment Guarantee Act. With the implementation of this project, these workers will no longer have to bring their food from home. Three-tin tiffin – The state will offer three-tin tiffin to these workers. This will ensure that these labors get adequate food and nutrition that will keep them full and going for the rest of the day. Estimated number of beneficiaries – The state government is hopeful that it will be able to offer free tiffin to as many as 11 lakh MGNRE workers. Contact for food distribution – Chhattisgarh government has given the contract of making and distributing the tiffin to a company that is situated in Nagpur. The company will distribute food in each of the 27 districts. This project will start from Raipur district. In time, it will spread over other areas as well. If the state can offer good quality food for the poor workers, then it will be able to offer additional betterment for people belonging to this section.